Pop music is blossoming through a glorious resurrection, with heightened credibility and critical recognition emerging for artists who make music equal parts thoughtful songwriting to sweet jams. North London duo IDER join this new wave of forward-facing pop talent with authenticity at their core; no stale stylistics here, it’s all about an intimate aura and burnished beats. The subtle pop sonics of Megan Markwick and Lily Somerville draw you into a majestic whirl of poignant sentiments, aided by lyricism honest about love and loss, positive about strength and acceptance. IDER unapologetically acknowledge the ugliness in human nature, yet their pristine now-catalogue of tracks fail to be anything but magnificent pop beauties. Shimmering synth and clapping beats dominate the duo’s confident approach to electronic pop, contrasted underneath grittily-raw yet vulnerably-hushed harmonies which are relished through songwriting sensibilities to give you all of the feels. “What we want our music to do is to connect to people, and the way we feel we can do that is by being really honest and beautiful with our music”, Meg tells Clash. Doing this has always been a dream for her a Lily, but it didn’t turn into a let’s-actually-do-this goal until the duo met at uni, leading to their housemate status today. “It creates a very natural environment to be creative together”, Meg speaks of their home. “Nothing’s ever forced and there’s no schedule, we write and play together whenever, so it definitely benefits us as musicians a lot”. IDER have a refreshing way of maintaining their own confident identity while drawing on inspiration from a diversity of others. “We love an alt-pop attitude and also an R&B and hip-hop vibe, but then stuff like Kurt Vile and proper old school guitar songwriters”. This blend of influences is evident upon first spin of any IDER track with assorted instrumentation throughout. Debut EP ‘Gut Me Like An Animal’ takes a more R&B-tinged approach to alternative pop, while recent releases ‘Learn To Let Go’ and ‘Body Love’ associate with more stripped-back electronics. Despite a strong range of influences, it’s never everything all at once for IDER, who tend to find creativity in the silence. “I only get hooked and really into one artist, album or even song at a time, I find it quite overwhelming otherwise”, Meg tells Clash. “In order to write from our point of view we don’t need to listen to loads of different things simultaneously, it creates clutter rather than space for us to process”. IDER are serious about creating thoughtful pop and spreading their sincere songwriting to appreciative audiences. “Our headline gigs in London are really great”, comments Meg, fresh from two sold-out shows at East London’s Archspace and even fresher from a performance at Reykjavík’s Iceland Airwaves Festival. Their brooding synth pop is taking them around the world, having toured with the likes of Tegan and Sara and set to accompany electro-soul duo Ibeyi on upcoming dates in Germany and Holland. IDER parade a clear excitement over their upcoming shows, already buzzing for their next headliner (March 27th at Shoreditch's Rich Mix). “We’re very much taking it all day by day and that’s just sort of how we’ve always done this from day one”. 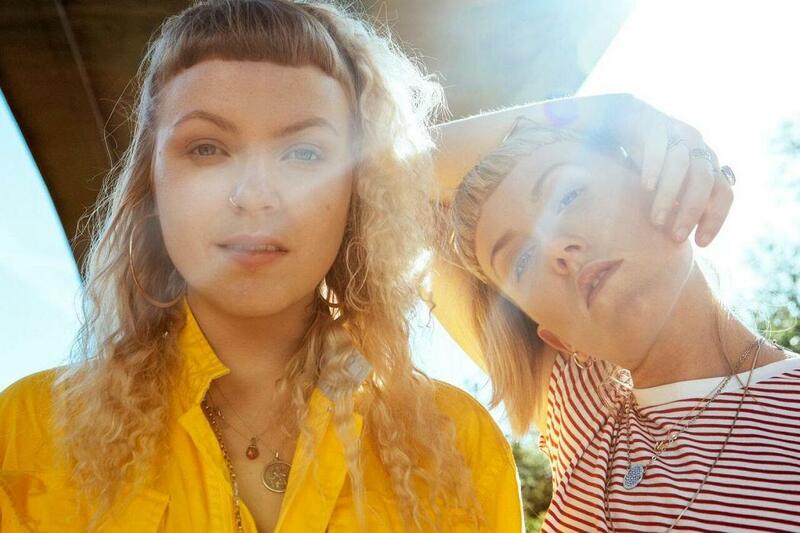 Having recently signed to Glassnote Records after being DIY for so long, IDER are really starting to get into the swing of being a contemporary pop band. “I think 2018 will be a really, really exciting year,” they tell Clash. We have no doubt that will be the case.